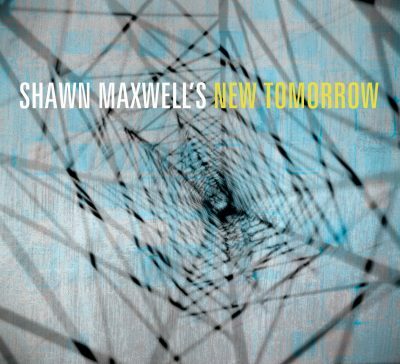 Maxwell’s latest disc with his New Tomorrow Quintet is an exciting extension of his edgy group approach that we have heard on previous albums. On Maxwell’s last album, Alliance, he used a larger ensemble complete with an unusual collection of instruments, including guitar, voice and French horn. On that work Maxwell used the larger ensemble to explore envelope-pushing odd meters in the context of interesting compositional textures and hues. The edgy odd meters are still very much present on New Tomorrow, except more within the context of funky, groove-based compositions. Although the funky odd meters hint at inspirational precedents, such as Steve Coleman and the Dave Holland Quintet, the album is very much a labor of love in Maxwell’s own voice. All of Maxwell’s originals stand out. “Three Kinds of Heat” is one of the most memorable original compositions on the record, blending serpentine horn lines with a tight rhythm section groove. The playful “Whole Hearted Half The Time” provides an outstanding vehicle for the band too. This album is a highly recommended release in the funk vein from Maxwell.